New in Artstor: better image group browsing! 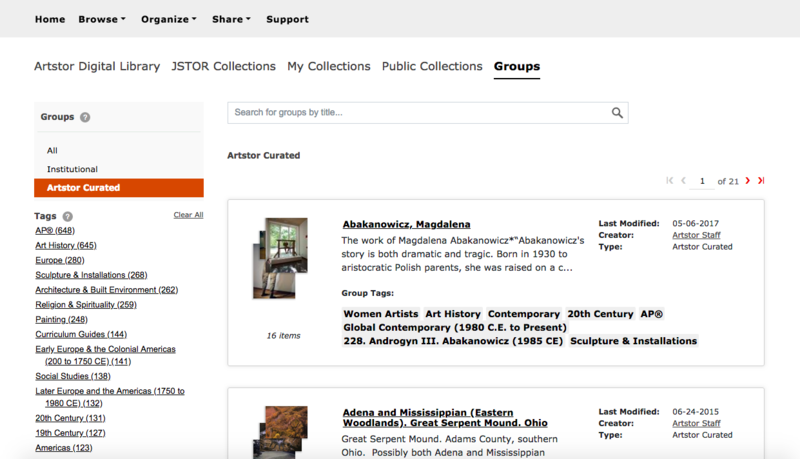 It’s now easier to work with image groups in Artstor: After interviewing faculty, we implemented changes that improve searching and browsing your groups–and groups made by others at your institution. Personal Collections are back! You can once again upload your own images to Artstor and work with them seamlessly alongside our collections. This functionality was temporarily halted as we built the new Artstor site. Visit our support site to learn about their new functionality. 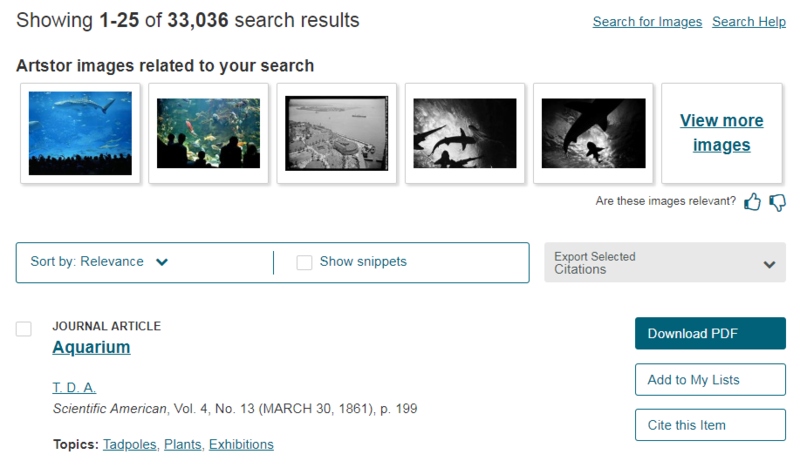 JSTOR users at institutions that also subscribe to Artstor may encounter a colorful surprise: some search results on JSTOR are now displaying image results from the Artstor Digital Library. We’re thrilled to announce that we will be releasing an updated Digital Library this summer. This is a first step in improving our support of digital image-based teaching and scholarship, and toward the longer-term goal of creating an integrated platform experience for users of both the Artstor Digital Library and JSTOR – now both allied services under the ITHAKA umbrella. OIV 4.1, the latest version of Artstor’s Offline Image Viewer, is now available for download here. Release notes are available on our support site. Need help? Contact us at userservices@artstor.org with any questions. Artstor has released the latest version of its Offline Image Viewer (OIV). OIV enables instructors to give classroom presentations using larger images from the Artstor Digital Library (up to 3200 pixels wide) along with local content without being connected to the Internet. You can create digital slide show presentations that feature side-by-side comparisons, zooming and panning, and the ability to customize text on the slides. Compatible with Mac OS X 10.10 and Windows 8. Link to image viewer – clicking the link to image viewer icon on an image will open that image in the image viewer within the Digital Library. Embedded hyperlinks – you can now embed hyperlinks in your OIV slides. Saving to legacy format—this version of OIV allows presentations to be saved in OIV 2.6 format so that they can be opened by OIV version 2.6 and above (without image viewer linking functionality). This version can also open OIV 3.X files. A bug that was affecting dual-screen presentations has also been fixed. To install OIV 4.0, first uninstall any previous version, log into your account, and follow the directions on our Help site. Long-time users of Artstor may have noticed that the Digital Library holds a number of redundant images. 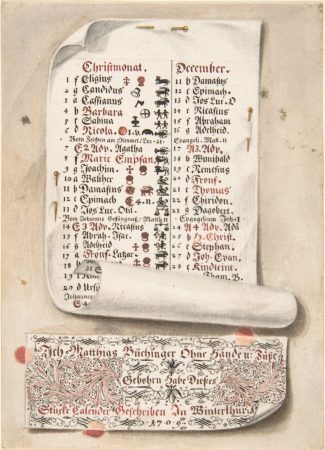 Some come directly from the source collections or are the result of different collections that document the same works of art, while others are details. We often cluster these images, which can be revealed by clicking on the clustered images icon ( ) below the thumbnails. Why not simply delete them? We’re glad you asked. As of today, users who download single image files from the Artstor Digital Library will receive a zip file that contains a JPEG image and an HTML file with the associated metadata (find out why here). Many versions of Windows come equipped with a built in zip program, but if you need to install a program on your PC, ARTstor recommends 7-Zip, available free at 7-zip.org. Mac users will not need to install software to handle zip files as it is already built into OS X. We recommend that you clear the cache and restart your Web browser before first downloading images today. You can find instructions on how to download images and open files on the ARTstor Help Wiki, and you can also download our guide for using zip (PDF, 621 KB). If you have any questions, please do not hesitate to contact User Services at userservices@artstor.org.